In 2014, the Alter-Ciné Foundation received 73 documentary submissions from 33 countries. 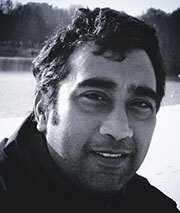 Chandrasekhar Reddy, recipient of the $10,000 Alter-Ciné Foundation grant. Chandrasekhar Reddy, an Indian filmmaker, received the $10,000 award for his project « Fireflies in the Abyss ». Even with the odds stacked against him, Suraj, an 11 year-old boy fights his way out of a life in the ‘rat-hole’ coalmines, to put himself in school. The ‘rat-hole’ mines in the Jaintia Hills (NorthEast India) are narrow strips of coal requiring children to descend steep, sheer chutes and burrow into narrow horizontal tunnels to scratch coal out of hard rock, armed with nothing more than a pickaxe and a head torch. In these hostile pits, everyday is a game of death. With Sooraj’s story, « Fireflies in the Abyss » explores the precarious lives in the mines and the lives of several miners whose lives intertwine with his. Suraj dreams of going to school and despite the harsh conditions we witness, solidarity, humour and tenderness illuminate this moving film. Guy Davidi, recipient of a $5,000 Alter-Ciné Foundation grant. 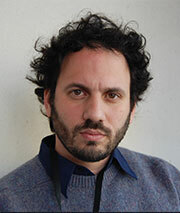 Guy Davidi, , an Israeli filmmaker, received a $5,000 award for his project « Mixed Feelings ». When Israel starts the attack on Gaza, Israeli acting guru Amir Orian can't withhold his objections to the war. While performing on stage, his acting students' deep emotions explode, yet their protest against him and his views threatens the existence of the theater he created in his own living room. « Mixed Feelings » is a heartbreaking story about cultural resistance through theater and about the ungrateful mission of political education. The film starts in one war and ends 5 years later with another; the process captured through the relation between Amir and his students reveals the process of Israeli society in between the wars. Lynn Zhang, recipient of a $5,000 Alter-Ciné Foundation grant. 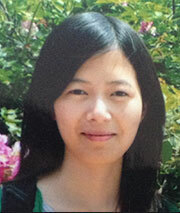 Lynn Zhang, a Chinese filmmaker, received a $5,000 award for her project « Who Pays the Price ». « Who Pays the Price » exposes the human costs of global outsourcing, focusing on China's electronics suppliers. With unprecedented access and undercover footage, this feature-length film offers a rare, intimate glimpse into the lives of the young people who are paying with their health and lives making the devices we can't live without. Chemically poisoned while producing for major electronic brands including Apple and Dell, the film depicts the hospitalized teens struggling for their health while the factories collude with corrupt officials to deny responsibility. Some lose their battles for health and justice, while others turn the pain of their illness into activism. Through their stories, the documentary puts a human face behind our every-day high-tech necessities, and aims to push for a change in global brands’ social responsibilities, and make us rethink the values of “green high tech”.